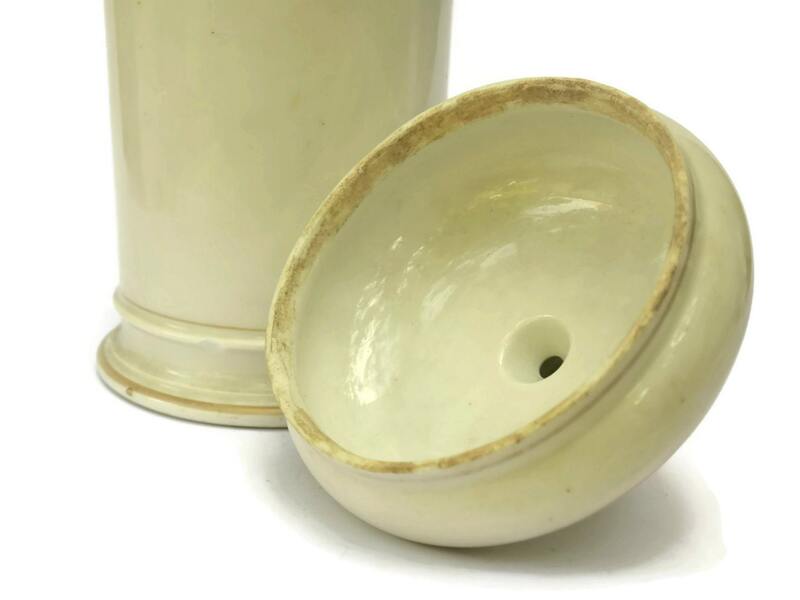 Antique Porcelain Apothecary Jar by Hariet & Bobin. 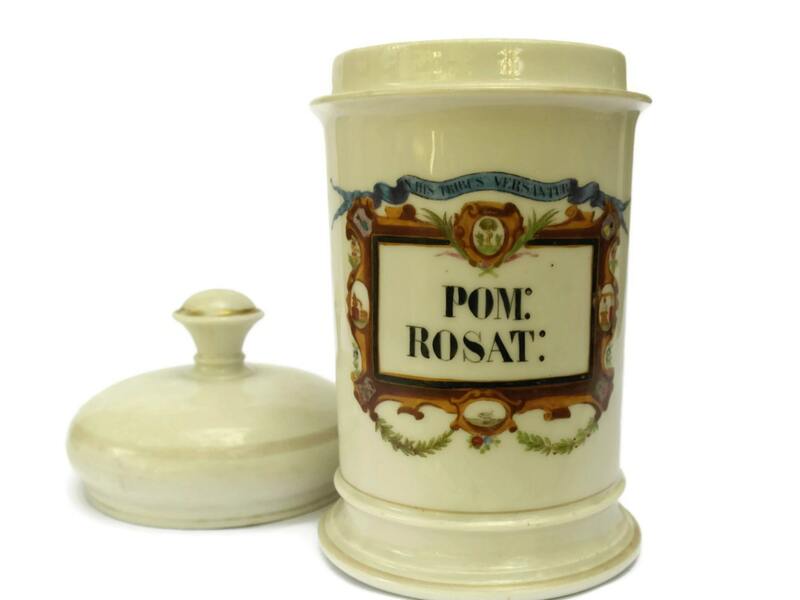 19th Century Hand Painted French Porcelain Pharmacy Jar for Pommade Rosat. A magnificent antique apothecary jar dating to the 1800s. It has been manufactured from fine French porcelain and features an exquisite hand-painted label and gold highlights around the base and lid. The pharmacy jar is large and heavy with a classic domed lid. 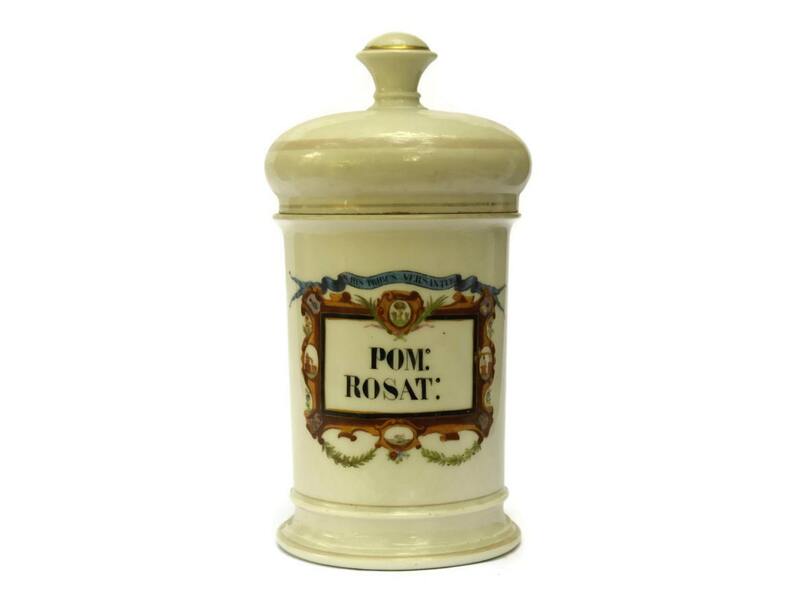 The ornate label has hand lettered abbreviations for Pommade of Rosat which was used for cosmetic purposes as a moisturiser and lip balm. The underside of the jar has been inscribed with the pattern reference numbers and stamped with the manufacturers mark, Hariet & Bobin of Paris. The company manufactured luxury glass and porcelain containers for pharmaceutical and cosmetic houses and ended production in 1878. 11" Tall x 5" Wide (27 cm x 13 cm). 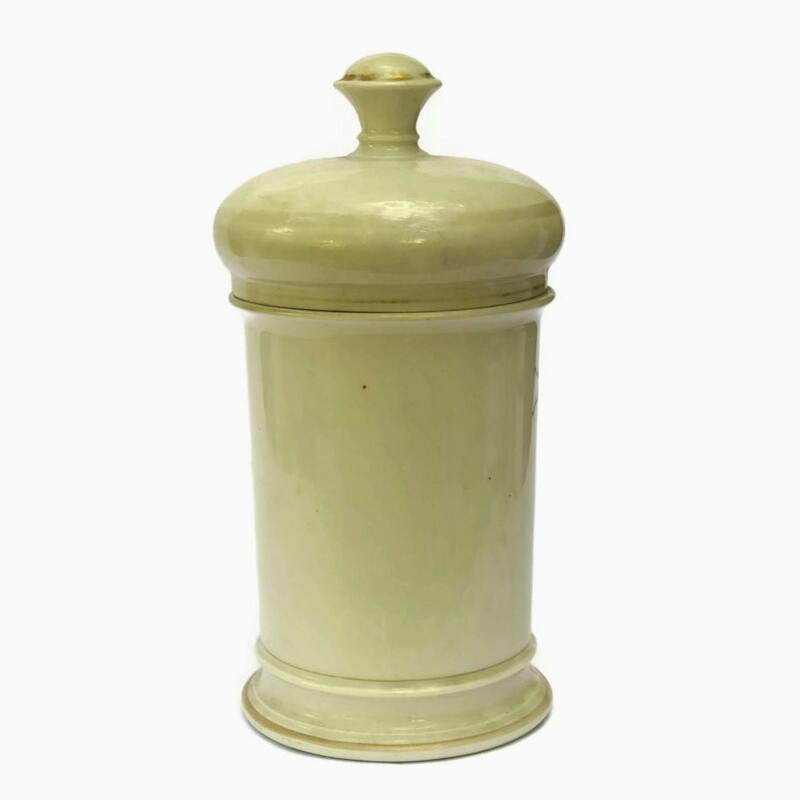 The apothecary jar is in good antique condition with wear to the gold painted accents. There is a chip to the interior rim of the lid. 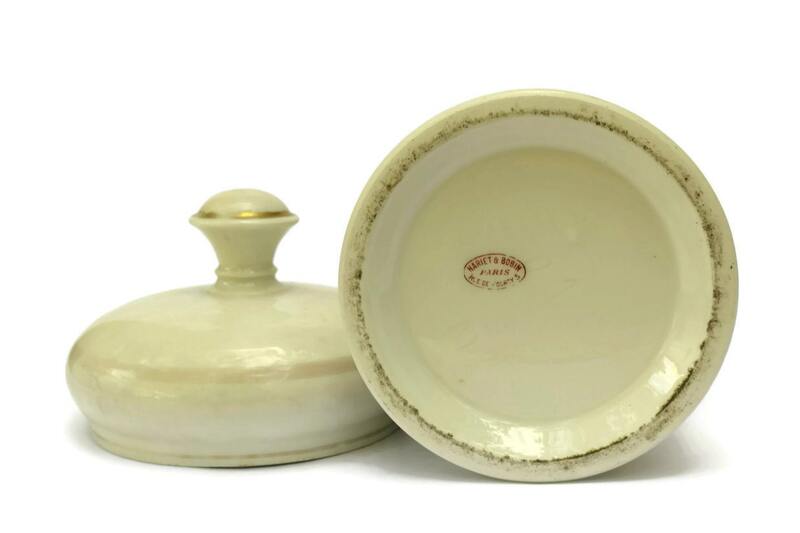 Item ref: Antique Porcelain Apothecary Jar by Hariet & Bobin. 19th Century Hand Painted French Porcelain Pharmacy Jar for Pommade Rosat.